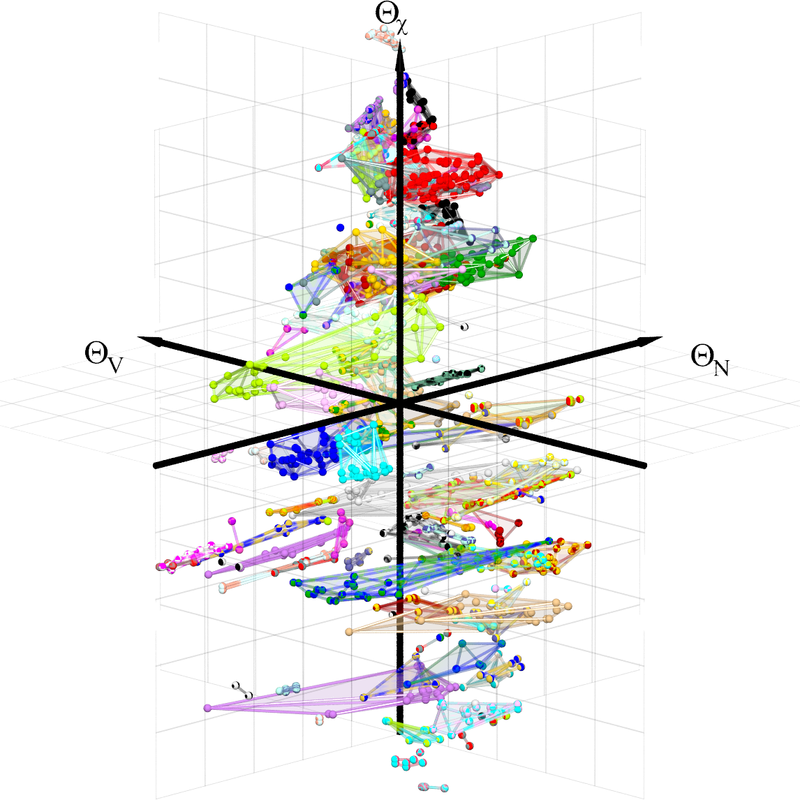 Three-dimensional structure map for the prediction of the crystal structure of ternary compounds. The descriptors are based on the number of valence electrons N, the atomic volume V and the electro-negativity X of the constituent elements. The coloured polyhedrons correspond to different crystal structures. Structure maps predict the crystal structure of a compound from the knowledge of constituent elements and chemical composition. We recently developed a highly predictive, three-dimensional structure map for stoichiometric binary sp-d-valent compounds. Here we show that the descriptors of this structure map are transferable to off-stoichiometric compounds with similar predictive power. We furthermore demonstrate that the descriptors are suitable for ternary prototypes. In particular, we construct a three-dimensional structure map for 129 prototypical crystal structures for ternary compounds. The crystal structure is predicted correctly with a probability of 78%. With a confidence of 95% the correct crystal structure is among the three most likely crystal structures predicted by the structure map.